US President Donald Trump has valued his golf course in Doonbeg, Co Clare at between $25m-$50m, according to his latest financial disclosure with the US Office of Government Ethics. The document also notes that Doonbeg generated income of just over $14m from what was described as "golf-related revenue". In the financial disclosure, Mr Trump is listed as being the president of a company based in Doonbeg from 31 January 2014 to 19 January 2017, the day before he was sworn in as US President. 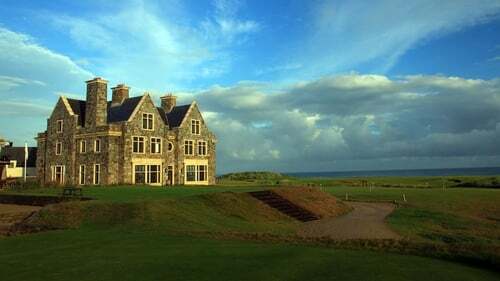 Mr Trump bought the golf course in Doonbeg in February 2014 for an estimated €15m. His Scottish golf links in Aberdeen was valued at over $50m, generating income of almost $3.5m. The financial disclosure also shows that Mr Trump reimbursed his personal lawyer Michael Cohen for a payment of at least $100,000 made to a third party in 2016. Mr Cohen made a $130,000 payment to adult-film actress Stormy Daniels, whose real name is Stephanie Clifford, shortly before the 2016 presidential election, in exchange for her staying silent about an alleged affair she had with Mr Trump. Mr Trump's new disclosure statement did not describe the purpose or the recipient of the 2016 payment made by Mr Cohen. But the acting director of the ethics office, David Apol, in a letter to Deputy Attorney General Rod Rosenstein, said it should have been disclosed in ethics documents that Mr Trump filed in June 2017. Mr Apol's letter was released with the Trump disclosures. Mr Trump's latest disclosure filing said Mr Cohen incurred the expense in 2016 and that Mr Cohen "sought reimbursement" in 2017. "Mr Trump fully reimbursed Mr. Cohen," the report said.